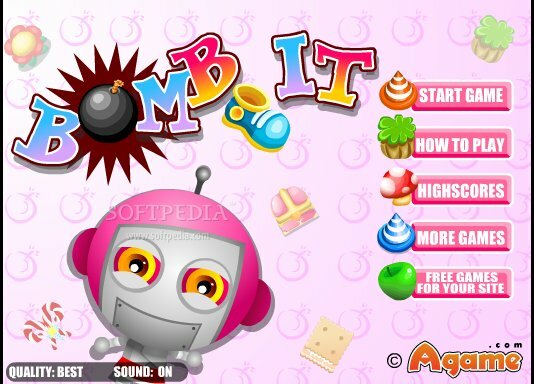 Bomb It 1 is the first installment of the popular game series. With various levels to complete, this will keep your eyes focused on the computer and your fingers working on the keyboard to complete the stages aiming for a high score. 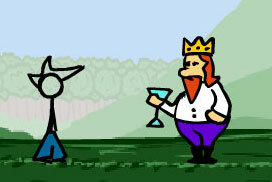 This can be a one player or two player game. So whether you are playing alone or you are playing with a friend, you will have the best time playing Bomb It 1. It is easy to find this game online, as there are several sites that it. The good news is that it is free to play this enjoyable bombing game so you can have a great time playing for hours without spending anything. Even if this is an online game, as long as your connection is stable, it takes faster for the game to load compared to other web games. You have the option to turn the sound on or off on the main window of the game. You can also adjust the quality of its graphics and choose from normal, bad and best. This option is on the main window as well. On the upper part of the game window, there is a slider to adjust the size of the game window and make it smaller or bigger depending on your preference. Click on the High Scores to check out the high scorers of the game. Click “How to Play” to check on the instructions. Click “Start Game” if you want to start playing. Choose if you want to play the single player or two player mode. 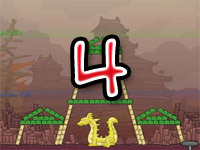 Choose the difficulty level from easy, normal and hard. You will then be asked to select your character. There are 4 characters to choose from. 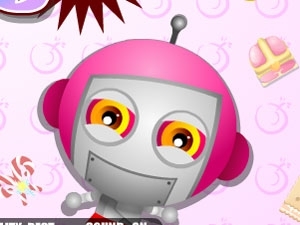 Select your character from the four robots that are colored pink, yellow, blue and green. If on a single player mode, use the left and right arrow keys to select your character. Hit the space key to confirm your selection. If you are on the two player mode, choose the first character using the A and D keys and hit space key to confirm. To choose the second character, use the left and right arrow key and hit enter to confirm the selection. 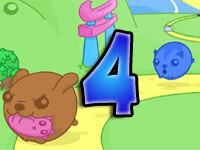 The goal of this game is to kill the enemies by bombing them within the time limit. There will be different obstacles along the way that you need to blow up so you can move your character easily. If you liked the game – check out other Bomb It games on our website. We keep it updated, so as soon as a new one will be released – we will also post it here. Feel free to also share our website with friends (and maybe play the Bomb It games with them). 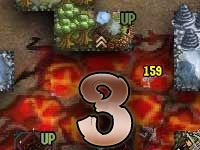 There will also be different power ups that you can collect, which will help you defeat your opponents. If on the single player mode, use the arrow keys to move your character and use the space key to plant bombs. Make sure to move away from the bombs as you will be killed if hit. If you are playing with another person, the W, A, S and D keys will be used by the first player to move around, while the space key will be used for the bomb. The second player will use the arrow keys to move around, while the enter key is used for dropping bombs. ©2019 Bomb It 1. All rights reserved. Bomb It is a trademark owned by agame.com. This website is not endorsed by or affiliated with agame.com in any way.